The standard design goes with wishbone coilover. 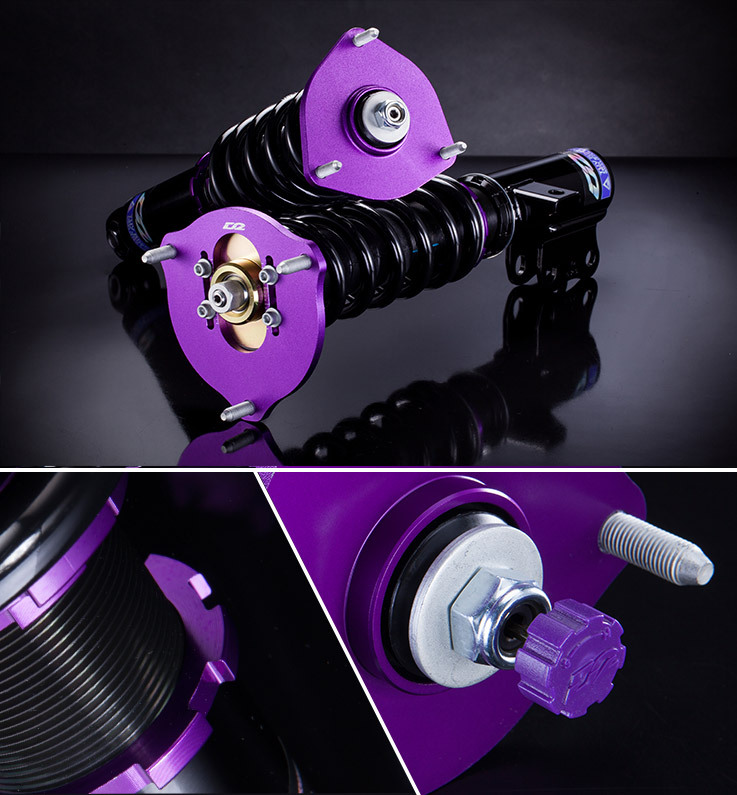 There are φ44mm pistons in the strut which can contain large amount volume of shock oil for handling everlastingly and prevent the shocks from exhaustion after long-term use. 36 different damping settings to match different kinds of road conditions. The spring rate and damping settings are specially for rally asphalt. It cannot use for rally gravel and rally snow.